The Anbau (That’s the German word I will be using to designate the new part of the house that will be added on) will have a veranda of sorts on the back wrapping around the corner. A big topic of discussion is what we are going to have there on the ground. Tile? Wood? Brick? I had the bright idea to take some of the bricks from the demolished building and use them for the floor of the veranda. I figured we would be able to save some money and also tie the old in with the new. M immediately seized upon the idea as a stroke of genius. The architect and the demo guy tried to dissuade us. 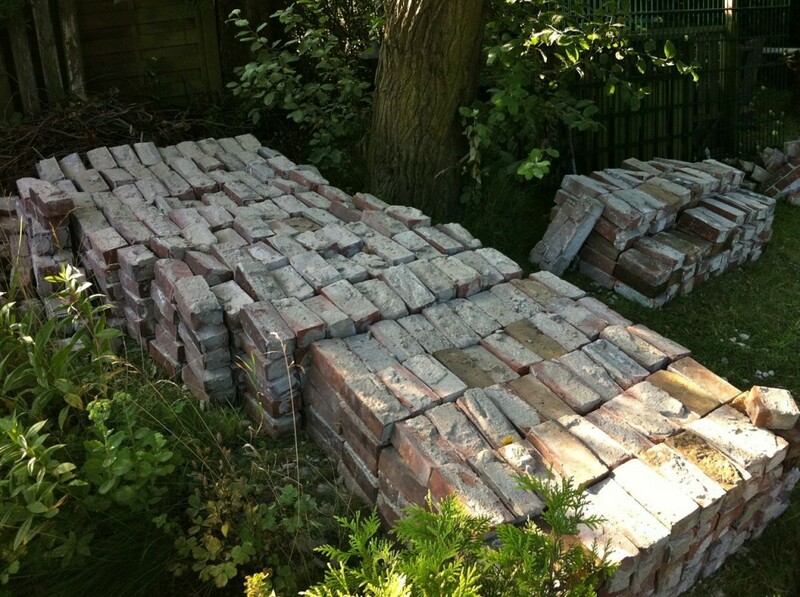 I was also less than enthusiastic at the prospect of trying to save all of these bricks mainly because of storage and knocking all the mortar off in preparation for their next life. In the end we managed to collect and stack around 900 bricks. We are not sure if that will be enough for what we have planned. 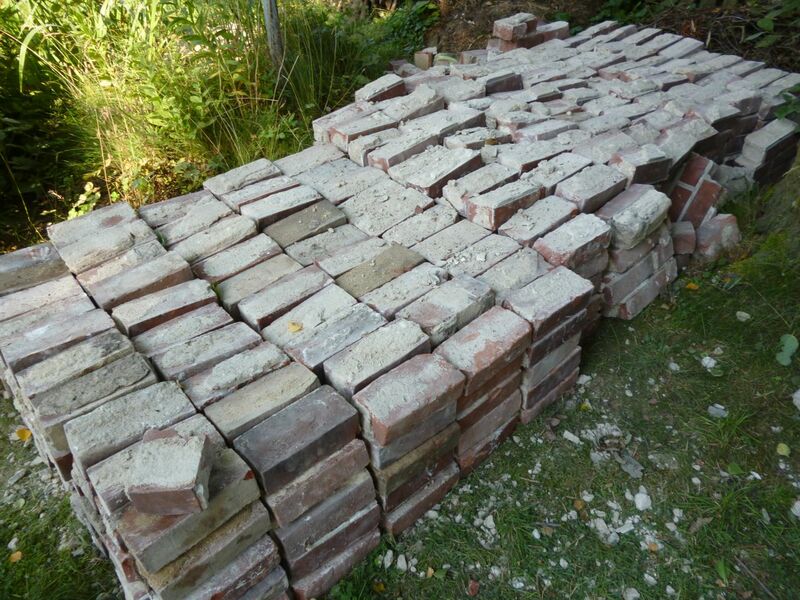 Perhaps we will have to mix and match them with another type of brick or use them for something completely different. Perhaps a brick fireplace/grill in the backyard? Hmmmm. Anyway, here they are in all their glory. 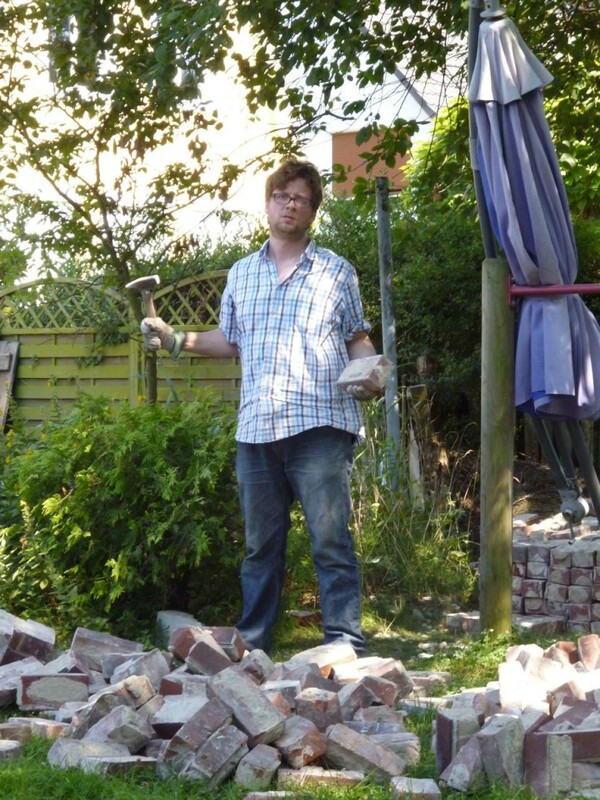 There’s no ‘like’ button under that picture of you with the hammer, standing like Thor over your conquered bricks. What the hey.